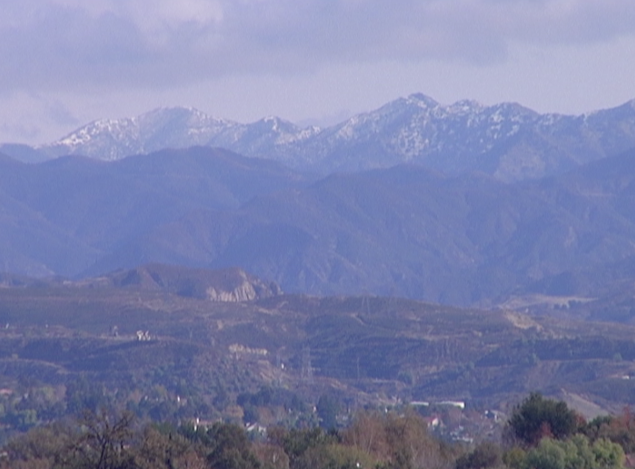 The National Weather Service has extended its weekend wind advisory for the Santa Clarita Valley through noon Wednesday, as the Los Angeles County Health Officer alerts residents of local mountains and the Antelope Valley to continuing cold temperatures through Wednesday and Thursday, respectively. Northwest to north wind blowing at 15 to 30 mph with gusts to 45 mph is predicted in the SCV, shifting to the northeast late Monday night and Tuesday. Gusty wind and crosswind will make driving difficult, especially for high profile vehicles, and may down trees and power lines. When driving, use extra caution. With the NWS forecasting mostly clear sky in the SCV through the end of the week, daytime high temperatures will range from the upper 50s to low 70s Fahrenheit through Thursday. Night temps will remain in the low-to-mid 40s through Thuraday night. The county’s extended cold weather alert follows the NWS’s forecast of wind chill temperatures below 32 degrees for the AV and local mountains. “Children, the elderly and people with disabilities or special medical needs are especially vulnerable during cold weather. Extra precaution should be taken to ensure they don’t get too cold when they are outside,” said County Health Officer Muntu Davis, MD, MPH. * Dress in layers of warm clothing if you plan to be outdoors. * Protect head, hands and feet from the cold by wearing a hat, scarf, gloves, and socks. * Check on and help family members, friends and neighbors with limited mobility and limited access to heat, such as seniors or those who are ill. Check on them frequently. * If you have pets, bring them indoors and do not leave them outside overnight. * If you don’t have a heater in your home, visit indoor public facilities such as shopping malls, libraries or senior centers. * The Los Angeles Homeless Services Authority has a Winter Shelter Program available for those who need shelter. Locations and transportation information are online at https://www.lahsa.org or by calling 2-1-1. The nonprofit Bridge to Home operates the emergency winter shelter in the Santa Clarita Valley and provides other services to homeless individuals and families. The shelter is located at 23031 Drayton Street, Saugus 91350, and opens at 7 p.m. seven days a week. For more information, call 661-254-4663 or visit www.btohome.org. People exposed to cold weather for prolonged periods can lose body heat and develop hypothermia. Symptoms vary depending on how long you are exposed to cold temperatures. Early symptoms of hypothermia include shivering, fatigue, loss of coordination, and confusion and disorientation. Late symptoms of hypothermia include no shivering, blue skin, dilated pupils, slowed pulse and breathing, and loss of consciousness. People exposed to extremely cold weather conditions, such as places where it snows and where freezing occurs, may be at risk of frostbite. Frostbite is a bodily injury caused by freezing that results in loss of feeling and color in affected areas. The most common affected areas are the nose, ears, cheeks, chin, fingers, or toes. Gently warm the person and seek immediate medical care if you believe someone is showing signs of hypothermia or frostbite. * Only use approved heaters, such as electric or natural gas heaters and fireplaces. Never use stoves, barbecues and ovens to heat your room or home, as these appliances can produce a deadly gas known as carbon monoxide that can collect inside your home. * Install a carbon monoxide detector in your home to reduce the risk of poisoning. * If you use an outdoor generator at home, place it at least 10 feet away from all doors and windows to avoid exhaust gases entering the home. Carbon monoxide poisoning can cause shortness of breath, headaches, muscle and joint pain, and nausea. Exposure to high levels of carbon monoxide could lead to death within minutes. Those suffering from carbon monoxide poisoning should be taken outside, into fresh air, immediately, and should be taken to an emergency room for immediate medical treatment. LA County residents and business owners, including people with disabilities and others with access and functional needs may also call 2-1-1 or visit www.211la.org for emergency preparedness information and other referral services 24 hours a day and seven days a week. For the deaf and hard of hearing, call the TDD line at 1-800-660-4026.